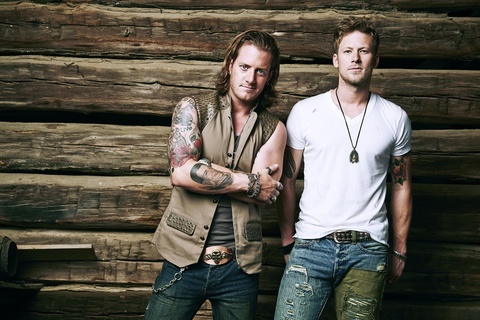 FGL's single "Dirt" and the Dirt Campaign in (7/9) Tennessean. Florida Georgia Line made a name for itself with lighthearted hits including “Cruise” and “This Is How We Roll,” but the duo’s new single, “Dirt,” shows a more thoughtful side. The song was released to country radio and digital retailers this week. In conjunction, Florida Georgia Line members Brian Kelley and Tyler Hubbard launched their Dirt Campaign with the fundraising platform Omaze to benefit Habitat for Humanity. The goal is to raise $100,000 for the organization that helps build houses for people in need. To raise the money, the duo is giving away a trip on its “This Is How We Cruise” four-day cruise in November. When fans enter, they are asked to donate money to the cause. To donate to Florida Georgia Line’s Dirt Campaign, visit www.omaze.com/fgl.